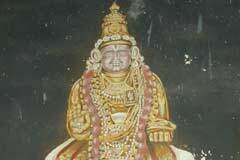 Vaishanavite Saint Tirumangai Azhwar had praised Vilokkoli Perumal in his Managalasasanam hymn. 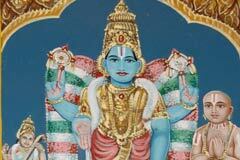 The event of Lord Varadaraja Perumal granting Darshan on His Garuda vahan to Saint Vedanta Maha Desikan in Vaikasi is grandly celebrated in May-June. The Aavani festival in August-September of Lord Vilakkoli Perumal visiting Desika’s shrine and the one in Margazhi (December-January) of Perumal honouring Desika are the festivals that demand many eyes for the devotees to enjoy the Lord’s grace. This is one of the 108 Divya Desas of Perumal. The temple is open from 7.30 a.m. to 10.00 a.m. and from 5.00 p.m. to 7.00 p.m.
Sri Vilakkoli Perumal Temple, Kancheepuram-631 501. Devotees perform Tirumanjanam to Lord and Mother offering vastras on realizing their wishes. Sri Maha Desikan is a gift to his mother who prayed to Lord seeking child boon. Responding to her prayer, Lord of Tirupati – Lord Venkatachalapathi asked the <?xml:namespace prefix = st1 ns = "urn:schemas-microsoft-com:office:smarttags" />Bell in His hand to be born the son of the mother. Bell is not used during pujas in Tirupati temple after this event. Born in the year 1268, Sri Desika was centenarian plus till 1369. He was an outstanding scholar of highest degree in the scriptures. He rendered a large number of Sanskrit works in Tamil. He has also authored in Tamil the Adaikala Pathu (Asylum 10) on Lord Varadaraja Perumal. 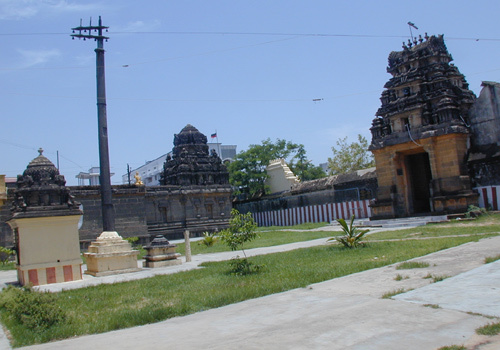 Desika’s son Nayina Varadachari completed the construction of this temple, it is said. 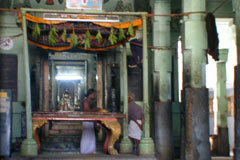 There is a separate shrine for Sri Desika in the temple. 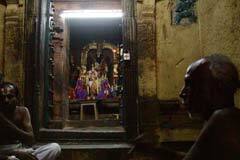 Lord Lakshmi Hayagriva idol worshipped by Sri Desika is still in the temple. His Avatar Utsav is celebrated in the temple on the Revathi star day in Chithirai month-April-May. 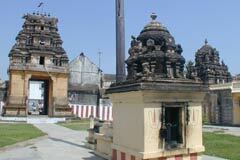 Perumal also helped a compromise and re-union between Brahmma and Saraswathi. 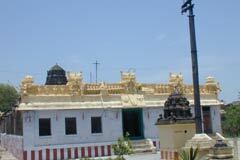 The temple is just a kilometer from Kancheepuram bus stand. G R T: +91-044-2722 5250.